Walter Aerts currently serves as Vice President of business development at JustPremium, but he’s worn many hats with the company over the past five years. Today, he’s seeing an exciting evolution in how brands are approaching their digital media buys. In this Q&A, he discusses the recent client-side shifts in campaign measurement and creative experimentation that are paving a bright future for rich media advertising. JustPremium: What are the main and most exciting changes in the industry right now that affect your work? What challenges and opportunities do you see in them? Walter Aerts: We are seeing brands become more specific in what they are looking to measure. When we launched JustPremium, it was all about the CTR of a campaign. The campaigns we are running these days have multiple KPIs and are more focused on brand lift, viewabilty, brand safety and engagement. I think this trend is going to lead to an even bigger shift from direct I/O dollars to programmatic dollars, as buyers look to be fully in control and able to measure campaigns via their own or third-party technologies. JP: In general, how do you think the industry will change in the short– and long-term? Aerts: It is really exciting to see that our clients are looking to do cooler things with our ad units. We are getting more and more requests that involve our creative team, as our clients look to us to execute interactive elements, dynamic creative and new variations of existing ad units. I hope that this trend will continue in the future. JP: What are the major projects you are working on? What do you aim to achieve with them? Aerts: My job at JustPremium is to build up new markets for JustPremium. For the past 2.5 years, I’ve been working on the expansion of JustPremium in the United States. My next big project is to continue that expansion and open a JustPremium office in Los Angeles. We are looking to have a full sales office in place there by the end of 2018. JP: What is the most exciting part of your work at JustPremium? Aerts: I’ve been with JustPremium for more than five years, and I’ve served in many different roles. It has been exciting to see the growth of the company over the past five years, and I’m proud to be a part of that. For me personally, it has been very cool to constantly work in new markets. I get to show people who have never heard of JustPremium what we have to offer. JP: What piece of advice would you like to share with our clients? Aerts: Clients should never be afraid to loop JustPremium into their conversations at an early stage. We are always willing to help with creative and strategic ideas, and we are working with many creative agencies globally. I think clients can really benefit from our insights in their early campaign conversations. Worldwide, mobile advertising is driving the vast majority of ad spending growth, according to media measurement company Zenith. Globally, mobile ad spending was estimated to have grown an astounding 34 percent to top $107 billion last year. 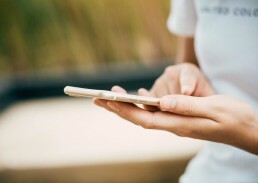 As our industry continues to invest more heavily in mobile ads in our mobile-first world, we can’t afford to lose sight of the true key to success in this realm: messaging and creative that resonates with a mobile audience. As marketers strive to deliver memorable ad experiences in the mobile space, here are three principles to keep in mind. Design for the device. You can’t simply repurpose desktop creative for a mobile audience and expect it to resonate. You need to leverage the ever-growing array of creative, immersive and uniquely mobile formats available to marketers today, including Mobile Scrollers and others. Furthermore, your mobile creative should take advantage of the deeply personal relationships that people have with their mobile devices. Make your ads engaging, interactive and — above all — personal. One of my favorite examples of harnessing natural user behavior to personalize a mobile ad experience is Starbucks’ incorporation of selfies into Snapchat ad units. But such creative ideas can be employed outside the walled gardens of social media as well. Gamify it. What do mobile device users love almost as much as selfies? Games. Today’s Rich Media mobile units enable a wide range of interaction and engagement features that lend themselves well to games, be it a simple tap-to-play branded game or a more-immersive experience that includes video. Don’t be afraid to get creative with your creative. Give users a choice. Importantly, part of creating ads for the mobile environment means understanding and respecting the fact that someone simply might not want to see your creative at a given moment. Respecting a user’s desired experience is important in all advertising, but perhaps nowhere as much as on a mobile device. Allow people to dismiss your ads with ease. Creating this positive user experience will increase the likelihood that users will stop to engage with your creative when it appeals to them, rather than being instantly put off by any ad unit that crosses their most personal of screens. At JustPremium, our creative studio works hand in hand with leading advertisers to create engaging mobile experiences that help brands stand out. If you’re looking to create a memorable mobile moment for your brand’s audience, reach out via our contact form. Deal brings innovative, creative and effective online advertising products to more Spanish marketers. To boost its presence in Spain and bring innovative ad products to more Spanish publishers and advertisers, JustPremium, the world’s first programmatic rich-media marketplace, has signed a partnership agreement with Spanish digital agency iKreate. iKreate will represent JustPremium in Spain and connect Spanish advertisers with high-impact products on premium publishers across both desktop and mobile. iKreate clients will benefit from customized ads that drive more engagement and increased viewability that typically exceeds 80%. JustPremium CEO, Eric Visser, says: “There is increased demand from Spanish marketers to make a brand impact, create engaging experiences for their target customers and drive metrics that matter. iKreate is the leading independent digital agency in Spain. They help their clients reach audiences in new and interesting ways which makes them the natural partner to exclusively represent us. Henrik Varga, managing director of iKreate, will also take on the role of JustPremium Spanish country manager. At JustPremium, we’re committed to raising online advertising standards for the benefit of consumers, advertisers and publishers. Over the past year we’ve developed new ad units that are both more effective and give advertisers greater scope for creativity. We’ve also signed up new publisher networks across 25 countries, offering brands targeted and ‘safe’ advertising environments. However making better advertising part of our DNA has to mean more than just developing products and signing partnerships. It also has to mean taking a leadership position when it comes to promoting the different issues relevant to our industry. As a result, we’ve now joined the Coalition for Better Ads. This is an industry-wide grouping that is committed to rolling out standards that will improve consumers’ experiences with online advertising. The Coalition for Better Ads (CFBA) does so by leveraging consumer insights and cross-industry expertise to develop and implement new global standards for online advertising that address consumer expectations. Being a member of the Coalition for Better Ads means we will directly help shape industry best practice when it comes to safe, secure and fraud-free ad experiences in consumer-friendly digital environments. Better ads are of course ads that are creative. But it is about more than just creativity. Better ads are also well targeted. They are fraud-free. They sit in trusted environments. And they enhance, rather than spoil, the user’s browsing experience. A new partnership is giving brands new and more effective ways to target ‘foodies’ and household grocery buyers online. Following an announcement made today, JustPremium is teaming up with Gourmet Ads to run high impact and rich media formats across 2,000 publishers worldwide via header bidding. JustPremium offers rich media display and video advertising solutions that sit within or surround premium content across all devices. The partnership will mean that high impact ads can be served onto the Gourmet Ads publisher network within minutes. Gourmet Ads has an expansive network of food, cooking and recipe websites where people make meal decisions before heading to the supermarket, making it ideal environment for CPG brands to engage with them. Consumers who access the Gourmet Ads network typically spend between US $200 – $500 a month on groceries. Many are females aged 25-54 with children, and who are the key decision makers when it comes to household purchases. JustPremium will benefit publishers in the Gourmet Ads network by giving them more ad inventory to sell, via one of its many bespoke ad formats which is proven to be more effective than ‘standard’ online advertising. Advertisers benefit by being able to access an ad format that both allows for creativity and has far higher rates of engagement and global reach. At the same time, the Gourmet Ads network is brand safe. With ad fraud an increasing problem, what you buy is what you get. Advertisers can be sure that their ads are running across approved quality sites within the Gourmet Ads network. The partnership is being executed through Prebid and will allow all of Justpremium’s 15 ad formats including skins, rising floor ads and interscroller ad formats to run for brands such as Home Depot, Weber, Whirlpool and Electrolux. 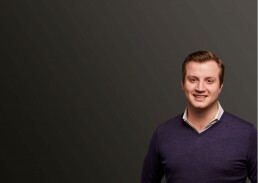 Commenting on the Prebid integration, Gourmet Ads’ Founder and President, Benjamin Christie stated” “What makes the partnership and technical execution unique, is that all high impact impressions are traded using the JustPremium Prebid adaptor which is integrated on the publisher’s website and into the Appnexus Ad Server”. The partnership has been live since early May and has already started to scale significantly in the US with advertisers Discover Card and StateFarm already buying the majority of the available inventory. The partnership coincides with the JustPremium Prebid adaptor becoming available via prebid.org. New team members bring 60+ years of creative, advertising and technology experience as JustPremium sees record growth in 2017. JustPremium (justpremium.com), the global marketplace for rich media and high impact advertising, today announced three new senior hires. The appointments come as JustPremium experiences its most successful year in terms of growth and client acquisition. Former art director of global tech/creative platform Shutterstock, Eric Sams joins as creative director, alongside ad industry veteran, Tony Franklin, from Viamedia who takes up the post of North America vice president of Sales. Finally, Paul Dolan who has built and led several successful ad technology businesses, is the latest addition to the JustPremium board. Eric Sams has more than 18 years of creative experience working for global brands and as art director of Shutterstock, where he led the design and copy development for all marketing communications. Prior to Shutterstock Eric worked on marketing initiatives for Esprit, Estée Lauder, Vibe and Essence. Eric’s role will be two-fold: JustPremium offers clients an in-house creative service, and Eric Sams will be overseeing this process, ensuring the work served onto the JustPremium network get the maximum engagement and viewability. Eric is also briefed to oversee the development of the JustPremium brand. Tony Franklin joins as the company expands its North American operations, which includes a move to a new, New York City regional headquarters. With 20 years’ experience leading sales teams and driving innovation across ad-based businesses, such as Undertone and Viamedia, Tony will take JustPremium’s North America business to the next level. Paul Dolan’s track record includes launching and leading the world’s first programmatic performance company, Light Reaction, and growing it to a $150 million business in 25 global markets. Previously, he was a founding executive at WPP’s Xaxis where he helped build the world’s largest programmatic media and technology company. This means Dolan has a unique insight into how a business like JustPremium can scale up quickly to meet demand. The JustPremium marketplace now covers 2,500 selected publishers in the US, Europe, LATAM and the MENA region. Over 800 have been added in the past year alone. JustPremium has also seen an 75% increase in advertisers using its marketplace. According to chief executive and founder Eric Visser: “we’ve had a fantastic year so far and these three appointments are important in different ways. “We’re keen to showcase how advertisers can be more creative at the same time as being more effective, which is where Eric Sams’ creative vision and flair comes in. At the same time, we see a huge growth opportunity in North America and Tony Franklin has the industry knowledge and know-how for us to capitalize on that. JustPremium, the world’s first programmatic Rich Media Ad Exchange, is launching their high impact video advertising format at DMEXCO. The sophisticated Header Video puts users in full control of their viewing experience. On user initiation the video either doubles in size or relocates to the available white space of the web page. Therefore truly adapting to the customers journey, while advertisers only need a simple and commonly used video format to plug into a wide range of premium publisher in 25 countries. As a result of the smart use of technology the Header Video ensures brand advertisers best-of-class viewability to boost their brand awareness. First learnings with over 1 million sold impressions globally are showing an average viewability rate of 86% after 2 seconds. Leveraging JustPremium’s Rich Media Ad Exchange, over 500 websites of premium publishers are already connected to support the launch of the Header Video. Therefore, as of today, advertisers are able to programmatically buy this high impact video ad format at scale while targeting their relevant audiences.